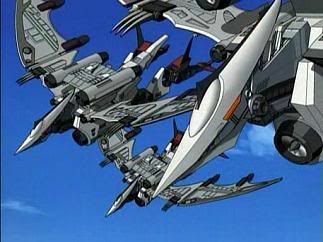 Following this blog the way you have, readers, you may have noticed this writer is a HUGE fan of the Japanese anime Zoids: Chaotic Century. This post is a full-blown gallery of pictures I have assembled and am now showing off. 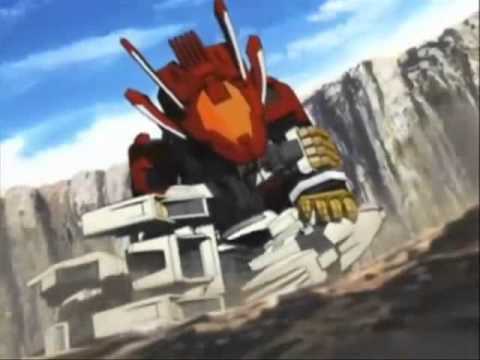 To get you in the mood, the intro theme for Zoids: Chaotic Century is at the top of the post. I hope you enjoy the photos as much as I do, readers. 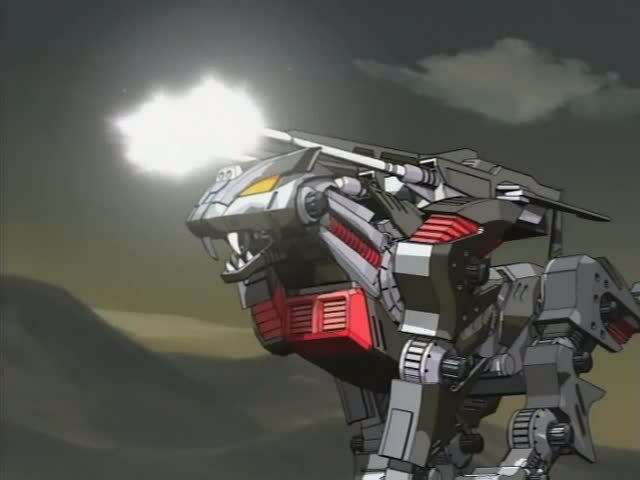 This entry was posted in TV Shows and tagged Blade Liger, Brad Hunter, Command Wolf, Dibison, Fiona, Iron Kong Mark II, Irvine, Japan, Japanese Anime, Japanese cartoons, Japanese dragons, Lieutenant Thomas Richard Schubaltz, Lightning Saix, Organoid, Organoids, Raven, Rosso, Shield Liger, Storm Sworder, The Blade Liger, The Gojulas, The Lightning Saix, The Shadow Fox, The Shield Liger, The Zaber Fang, TV, TV series, TV Shows, TV Theme Songs, TV Themes, Van Flyheight, Viola, Zaber Fang, Zeke, Zoids, Zoids: Chaotic Century, Zoids: Fuzors, Zoids: New Century Zero on June 24, 2016 by The Mithril Guardian. Organoids: the most mysterious of all the zoids on Zi. I promised in my last Spotlight! post that I would describe just what an organoid was. I shall now endeavor to fulfill that promise. Organoids are six to seven foot tall zoids. Somewhat larger or taller than a big man, they are physically stronger than most men. They are dragon-type beings with three claws on each “hand” and foot. Most organoids have head frills or horns of some kind, though there is one organoid who lacks these. He therefore strikes Western viewers as Tyrannosaurus-type, not dragon-type. Nevertheless, there are those on Zi in Chaotic Century who do believe the legends and spend great time and effort searching for organoids. Why? Organoids were/are the personal companions to the Ancient Zoidians, a humanoid species which once inhabited Zi and whose survivors are almost indistinguishable from humans. 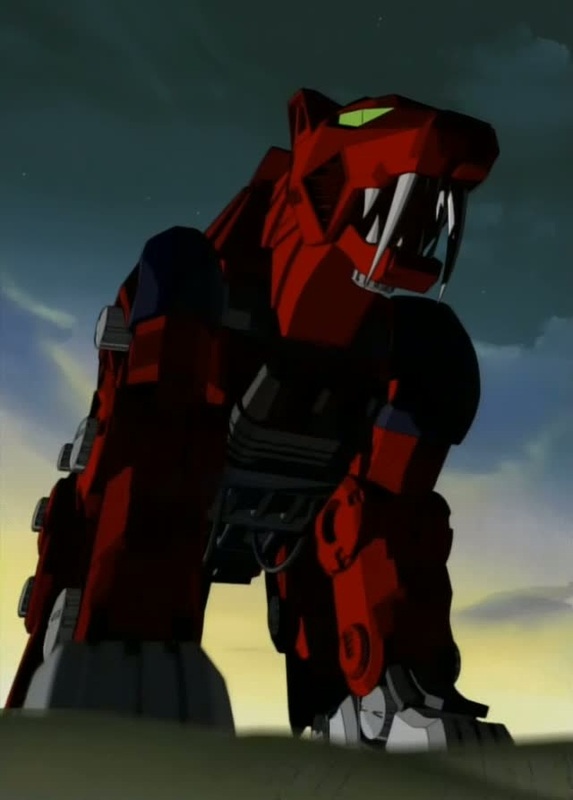 The primary purpose of an organoid, however, is to increase a larger zoid’s power; drawing out the larger creature’s potential for the pilot to utilize. To fuse with a larger zoid, every organoid glows, then launches into the air, usually by means of boosters installed in their backs. The glow must be some form of “phasing,” a time when the organoid is briefly intangible, in order that it may pass through the armor of the pilot’s larger zoid. Organoids stimulate the evolution of larger zoids when the creatures’ pilots reach a skill level those zoids cannot keep up with. Depending on the leap in skill level, the evolution can take a few days or a month. At the end of that time, the zoid bursts out of the organoid-induced cocoon (which is usually formed out of light), ready for battle and very capable of keeping up with the pilot’s new skill level. Also, when the zoid the organoid is fused to is destroyed, the organoid will bail out, taking the pilot with him. Sometimes the pilot is found standing next to the organoid, almost totally unhurt. In times of great danger, however, the organoid opens up its own body and uses it as a temporary stasis pod to protect the pilot. Depending on the circumstances, this can be very draining for the organoid, which may have to rest up for a bit before it can become active again. 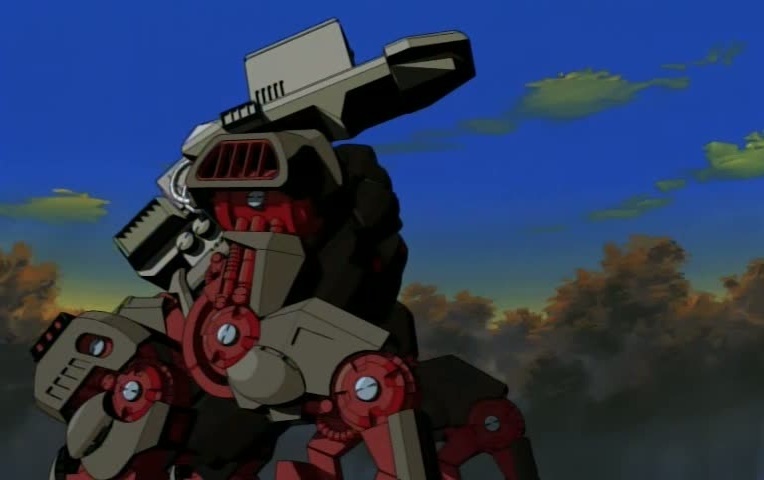 The organoid’s ability to strengthen larger zoids, giving them more power and drawing out their full potential, makes these small zoids highly sought after by governments, bandits, and others who have a vested interest in control of others. Van and his friends had no end of trouble due to the fact that Van had an organoid. Many wanted to steal the little zoid from him, not realizing that organoids are loyal to only one person, two at the most. And their loyalty must somehow be earned; stealing them is not enough. You have to gain their trust and respect. Yes, I am. Because unlike most zoids, organoids are not dumb. Their speech mainly consists of growls, gestures, snarls, or roars, but it is possible for humans to communicate with and understand an organoid. 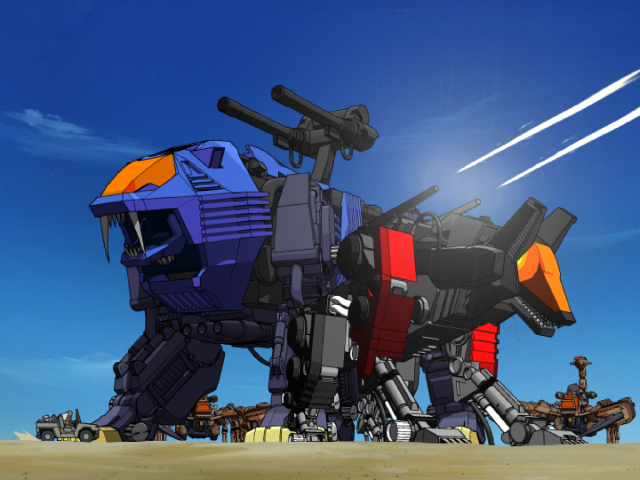 Therefore, they are more intelligent than regular zoids. Zeke is the first organoid we meet. Silver with fuchsia eyes, Zeke lacks the head frills and horns of later organoids. This makes him more reminiscent to Westerners of a Tyrannosaurus Rex than dragon-type, as the translators for Chaotic Century and doubtless the Japanese story tellers and voice actors referred to him. I believe that he is called dragon-type in the English translation of the series because he has three claws on each “hand” and foot. Japanese dragons have only three digits on all their claws; Japanese lore holds that when dragons migrate away from Japan, they gain more claws. To me, this is the reason Zeke is referred to as a dragon-type zoid in the series. Of all the organoids in the series, Zeke is the friendliest and kindest. He and Van meet in the first episode, where Van discovers the organoid’s stasis pod and inadvertently opens it, releasing Zeke. Zeke is nervous upon meeting Van, and when the fourteen year old approaches him to make friends, Zeke smacks him upside the head with his tail. Van does not lose his temper over the blow, however, shrugging it off and saying that Zeke “has to prove he can take care of himself.” This reaction convinces Zeke that Van is not a threat. But when a bandit enters the building, searching for Van, he spots Zeke in the process and things get dangerous. The bandit demands Van hand Zeke over to him but, armed only with a live electric cord, Van attacks the zoid the bandit is riding in to protect Zeke. Zeke is quick to return the favor when Van is thrown against the wall. This is what kicks off the friendship between the two, and their bond remains strong throughout the series. Zeke obeys Van, who always refers to him as his “best friend.” Zeke is also the only organoid who is consistently shown to be male. Van never says “it” when talking about Zeke, always saying “he,” “him,” “his,” etc. Many other characters, before they get to know him, call Zeke an “it,” though he never takes obvious offense over this. Zeke is also shown to be protective of Van, the first episode being proof positive of this. Zeke considers Van his best friend as much as Van thinks of him as such. The two talk often – though naturally, we in the audience only understand Van’s half of the conversation. For that reason, Van dubs her Fiona. Throughout the series, Fiona exerts almost as much, if not more, control over Zeke than Van does. Her and Zeke’s bond is almost like that of siblings. Organoids were the constant companions, as far as we know, for all Ancient Zoidians. It therefore makes sense that Fiona would be more able to influence Zeke in some situations than Van could. Like Fiona, Zeke starts out as something of an innocent. He is easily distracted by almost anything. A running gag in the series is his interest in moths and butterflies (he has been shown chasing the latter around from time to time). He is also the only organoid revealed to have a sense of humor, laughing when Van or one of his friends gets into a scrape. He is also the only organoid I know of who is ticklish. Zeke can also be embarrassed, though this last does not occur often. This mood is demonstrated by beads of sweat on his head, sheepish growls, and occasional ducks of the head, as if he wants to hide his face in mortification. Unlike Fiona, at least for the majority of the series, Zeke is also a capable fighter. He will jump to her and Van’s defense on many occasions, and has been shown to be protective of those close to them. This is demonstrated most notably in the second episode of the series, when he helps rescue Van’s older sister, Maria. Of the four organoids, Zeke is the least threatening and most friendly. In combat or during tense situations, he is a stoic member of the team. At other times, he is as playful and oblivious as a five year old and quite as capable with children as any of the other characters. In some cases, he is even better with children than other characters are. 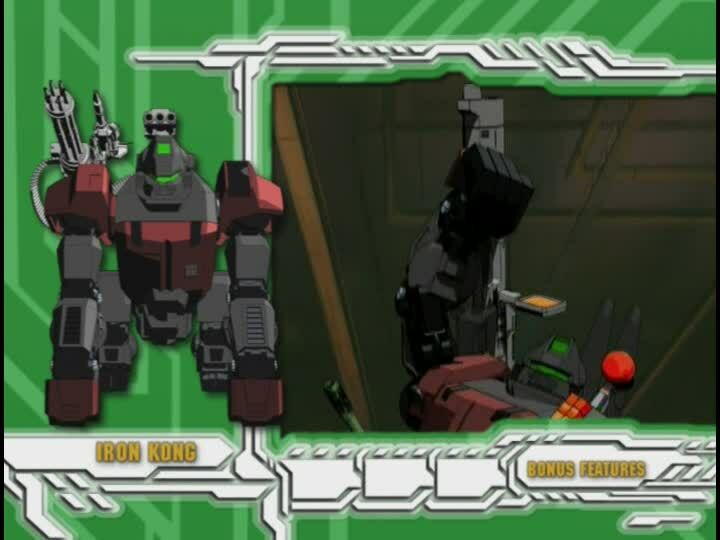 Shadow is the second organoid seen in Zoids: Chaotic Century. 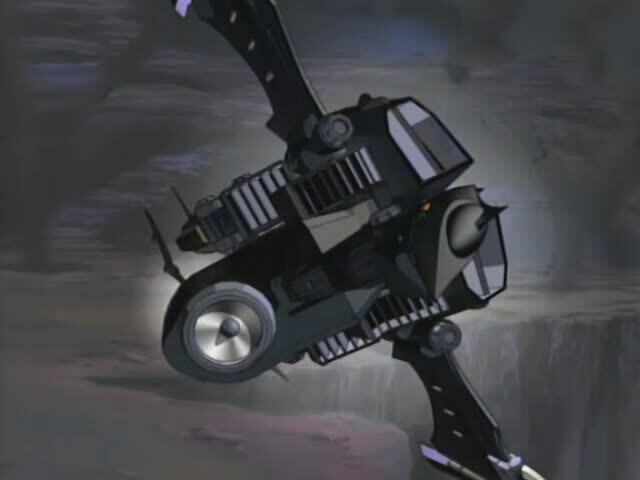 Black, with blue eyes, four horns projecting from the back of his head, and with two large, bat-like wings in place of the traditional boosters, Shadow is the exact opposite of Zeke. This is because he belongs to Van’s archenemy Raven, who is the complete antithesis of Van and the Winter Soldier of zoid pilots. Shadow never laughs, only growls with pleasure after taking down an opponent or causing some kind of damage. More so than Raven, he seems to enjoy the destruction he wreaks on others. 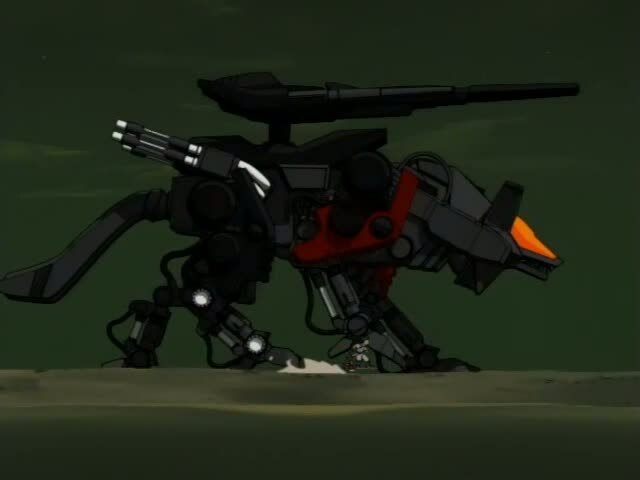 This has been shown to disturb Raven, whose primary desire is simply to destroy zoids. Like Raven, Shadow is a savage in a fight. Though he never clashes with Zeke in direct combat, I would say the odds of such a battle are not in Zeke’s favor. 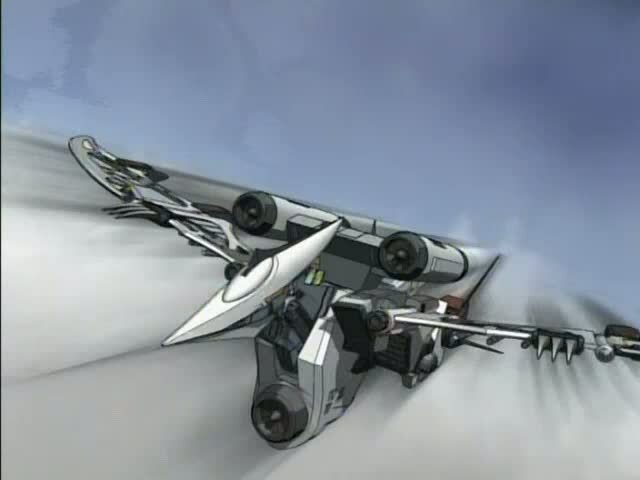 Shadow can take down armed adult men in seconds, and destroy zoids in less time than Raven. Also, Raven does not rely on Shadow much in a fight, whereas Van is initially very reliant on Zeke in a combat situation. Both boys have the raw potential to be great pilots, but Raven is the only one of the two who had official training before the series began. Because of the difference in their skill levels, Shadow is more independent than Zeke. He usually sits on the sidelines to watch Raven battle; when Raven decides the organoid needs exercise or, when Van later proves to be more able to challenge Raven’s skill, then he calls on Shadow to fuse with his zoid. Despite the fact that Raven appears to consider Shadow as nothing more than a tool, it is eventually revealed that their bond is deeper than even Raven suspects or knows. Shadow is quite protective of Raven, even willing to die for him. Though bloodthirsty and happy to cause carnage in battle, Shadow is quite loyal to Raven and sees him as more than a master or source of fun. He really does consider Raven his best friend, though it takes Raven much longer to return the favor. As a way to explain this, I will tell you how Raven became Shadow’s master. Shadow was initially a wild organoid, wilder than Zeke or any other organoid in the series. It took something on the order of five men to bring him, struggling all the way, into the room where Raven was waiting. In order to tame him, Raven tackled Shadow to the ground and wrestled with him, until the organoid realized he had met his match. After that, he stopped struggling and allowed Raven to rip his collar off. He followed Raven wherever the other went after that. It may be this wildness which is responsible for Shadow’s love of battle and destruction. Like a tamed wolf, he is loyal to Raven and obedient to him. To all others he bares his teeth and snarls, or ignores them as inferiors. They are nothing, Raven is everything. Also, battle is a constant in the wild. Half-feral as he is, Shadow would respond to a fight or challenge to battle with the instincts of a wild animal. He is only docile to Raven; to all others, he is a wild and dangerous creature not to be approached on even a dare. A fit companion for Raven, I have to say. Ambient is a red organoid with green eyes. He has five horns projecting from the back of his head and a small, hook-shaped spike on the bottom of his chin. Also, like a Stegosaurus, he has four silver spikes on the end of his tail. These are flexible, and he will not hesitate to use them in a fight. Ambient is partnered with the mysterious red-haired, green-eyed Hillz. Hillz’s mission is hidden for most of the second half of Chaotic Century, and so I intend to reveal as little about it as I possibly can. Ambient is even more bloodthirsty than Shadow, and twice as dangerous. He is less wild and more controlled than the black organoid, however. Therefore only by his actions in combat do we understand him any better. He seems, like his master Hillz, to hold all those around him as inferiors. He only meets Zeke directly once, when the latter bulldozes into Ambient to save Van, caught in combat with the deadly red organoid. But Ambient has traded angry growls with Shadow, and it is clear that the two have no love for each other. The only thing Ambient desires is destruction. Anything that furthers those goals is quite acceptable. He does not seem to take pleasure and joy out of much, except for the “honor” of being “chosen” to – well, that is telling too much. 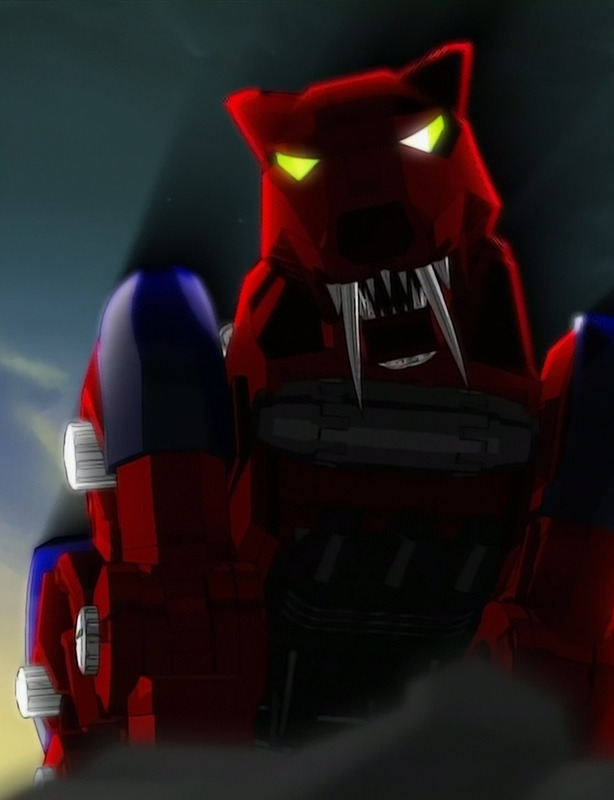 Ambient’s power is to tap directly into a zoid’s core and draw out its full potential instantly. This is the power of most organoids, apparently, but Ambient appears to be especially proficient in this area. He is not an organoid to be trifled with, nor should he be challenged by just anyone. He is too dangerous for that. The one organoid consistently called “it” throughout the latter half of Chaotic Century, the timbre of Specula’s growls suggest to me that this organoid is female. Taller and thinner than most organoids, Specula has blue armor and gold eyes. Specula has one horn projecting from the back of her head, with two silver horns on her cheeks which are reminiscent of an insect’s mouth pincers. Having seen her do battle with Shadow, a shorter organoid, I can say with all surety that Specula is not physically a match for many other organoids, though she can certainly overpower humans. Specula’s mistress is Reese, a blue-haired, blue-eyed psychic with a special grudge against Fiona. Why? Well, you will have to watch the series to learn that! Specula shares Reese’s psychic talents and can even increase them. Reese takes great pleasure in using her telepathic talents to manipulate others; a joy Specula seems to share. This earns Reese the moniker “the Blue Devil” in the series, and for a while she certainly lives up to this name! Later, after Reese recovers from injuries sustained in battle, she believes Specula is dead until the organoid puts her head through a hole in the roof and gives an affectionate growl to say hello. So it appears that Specula does have some warmth in her, but that it is stored up and directed toward Reese alone. Interestingly, Specula’s name is Latin. It means a variety of things, including “summit” and “bit of hope.” But you will have to watch the series to know why I mention this! Specula, like all organoids and their chosen partners, is shown to be protective of Reese. When Reese needles Ambient, the organoid is not pleased and shows his anger by growling. Specula responds in kind, rumbling a warning in no little anger at the red organoid. Strong or not, she will defend Reese to the bitter end. I guess I’ll catch ya later! This entry was posted in Spotlight!, TV Shows and tagged Ambient, Command Wolf, Dragons, Fiona, Gojulas, Japan, Japanese Anime, Japanese cartoons, Japanese dragons, Marvel Comics, Organoids, partners, Shadow, Specula, Spotlight!, The Gojulas, The Milky Way, The Winter Soldier, The Winter Soldier/Bucky Barnes, TV series, TV Shows, Tyrannosaurus Rex, Van Flyheight, Zeke, Zi, Zoids, Zoids: Chaotic Century on January 29, 2016 by The Mithril Guardian. Glad to “see you on the battlefield” today, readers! This particular Spotlight! 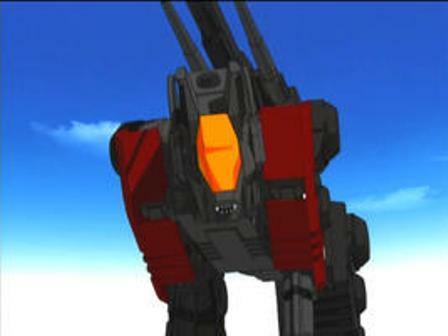 post is to showcase another zoid from the various Japanese animated series. 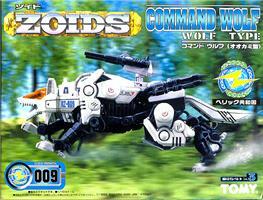 This zoid is the Command Wolf. 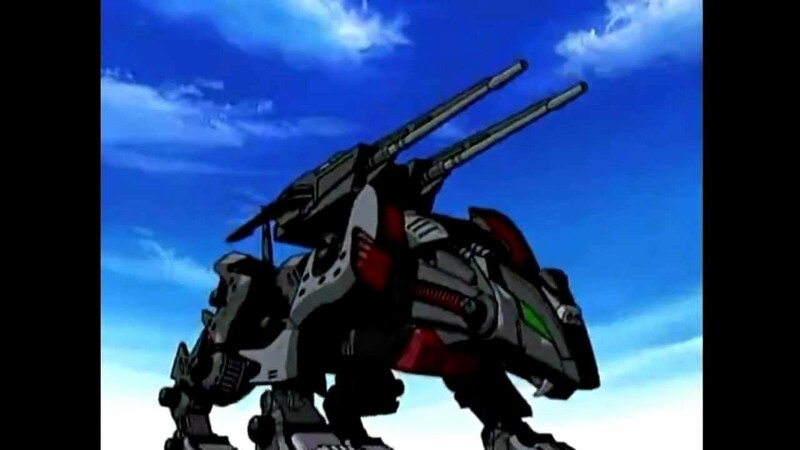 The Command Wolf is a light, agile, fast zoid which is primarily used by the Helic Republic as an infantry zoid. The Command Wolf’s cockpit is positioned in its head, underneath the obvious orange canopy. As a rule, though, Command Wolves are often outfitted with lighter arms. 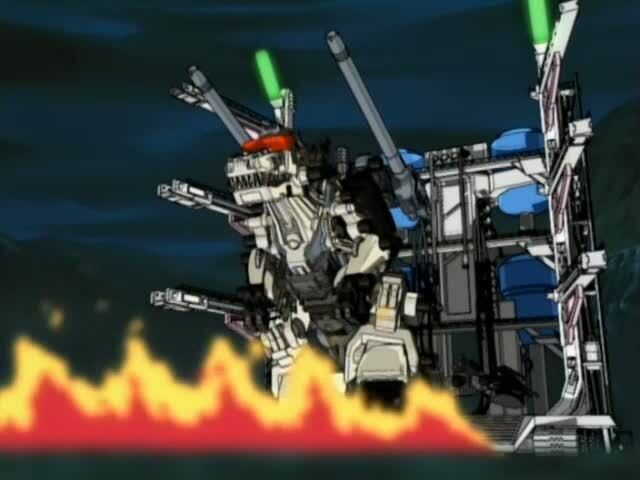 These include a double barrel laser rifle that has a seat in the back, as well as the ability to detach from the Command Wolf and become a separate fighting module. 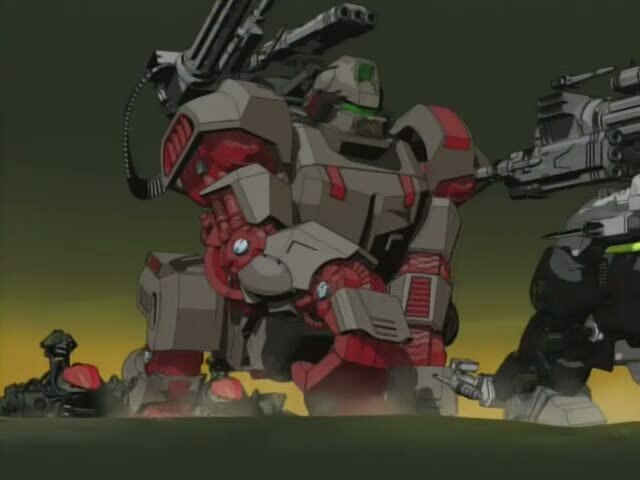 I have never seen the rifle used in this way in any zoids TV series, however. I think this is because of an obvious handicap in the design: the gun can become a mobile firing unit, but its pilot has no protection. There is no canopy on the gun – one good shot, and the pilot is either thrown from the rifle, possibly dying on impact with the ground – or they are killed outright when they are shot. Another gun which Command Wolves regularly bear is also double barreled. The barrels on this rifle, however, are longer, wider, and sturdier in comparison to that previously mentioned. It has no seat for a pilot; instead, the rifle is fired from the cockpit of the Wolf. I find this gun to be much better than the one with the seat. It has more range and more power. But for my money, the best armament for a Command Wolf is a sniper rifle. 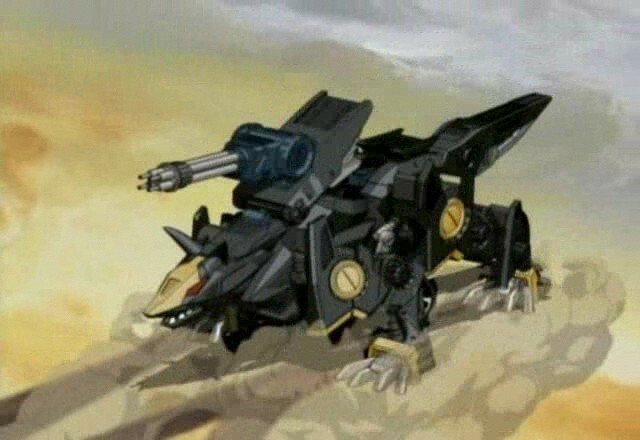 The character in Zoids: Chaotic Century, Irvine, piloted a black Command Wolf throughout a good portion of the series. His Wolf initially had the lower powered, double barrel rifle with the pilot’s seat at the back. But after about twelve or fourteen episodes, Irvine somehow upgraded to a sniper rifle. He later proved to be a very capable sniper, and his Wolf’s gun is shown to be the most capable at neutralizing an enemy zoid. 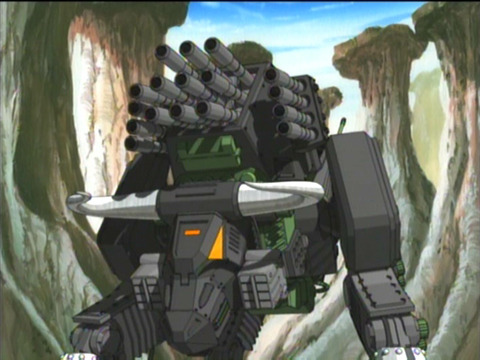 (Irvine was once able to shoot through two enemy zoids at once using this rifle!) The sniper rifle may not appeal to every pilot; but of the three, it is the best and most powerful gun in the Command Wolf’s arsenal. 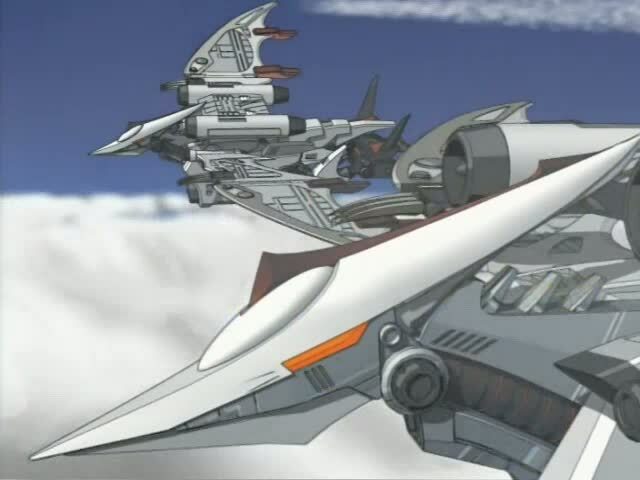 The Gojulas’ weapons are the only things that can outmatch the Wolf’s arms, but the rifle accents the Wolf’s speed and maneuverability more than these weapons do. Like a real wolf, the Command Wolf’s claws are basically useless in a battle. But, similar to an actual wolf, the Command Wolf’s teeth are dangerous. 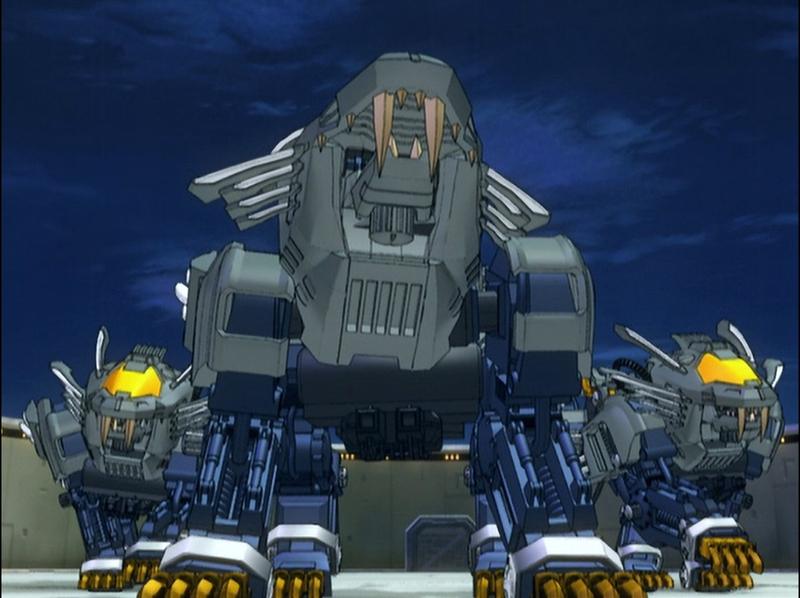 A Command Wolf would be hard pressed to bite through the larger and more durable armor of stronger zoids. 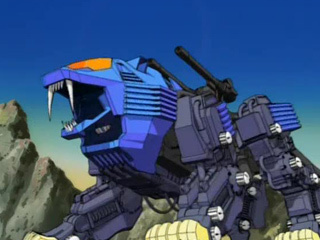 But zoids with armor of medium to light thickness had better hope a Wolf’s pilot does not have the nerve to jump on them and bite through the armor to rip out the vital circuits and wires beneath it. 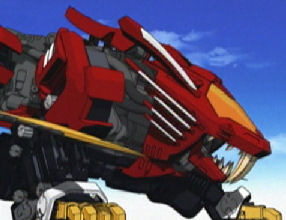 If a Wolf rips out key circuits in an enemy zoid’s body, then the zoid will either have a Combat System Freeze (something like getting stunned; the zoid’s ability to fight is shut off by ‘shock’ as it were) or suffering a Command System Freeze (the equivalent of a real animal or person getting knocked unconscious). 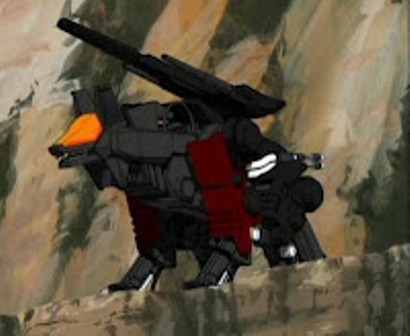 Some Command Wolves are also equipped with smoke grenade launchers on their rear legs, which supposedly act somewhat like the Shadow Fox’s smoke vents. I have never seen a Command Wolf actually use these grenade launchers in a fight; but they are part of the Wolf’s armament and therefore deserve a mention. 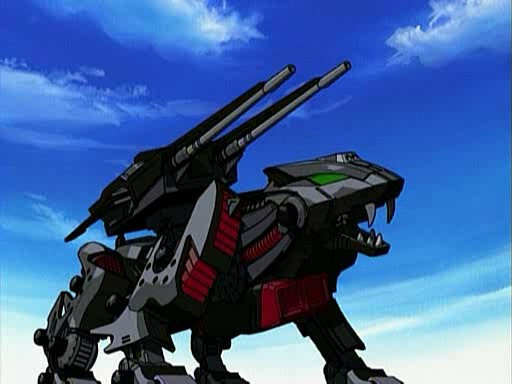 All in all, the Command Wolf is not the biggest, baddest zoid on the battlefield by a long shot. But for close combat and sniper combat, the Wolf has very nearly no equal in all of Zi. The only limits on the Wolf’s capabilities are what the pilot thinks it cannot manage. It is not the size or strength of the Wolf in the fight, but the size of the fight in the Command Wolf and its pilot. If I could get a real Command Wolf, I would. 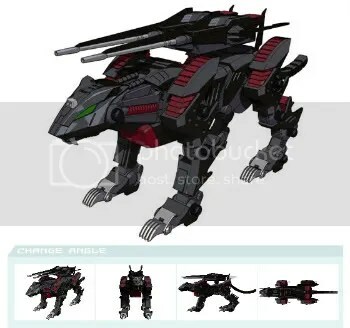 They are amazing zoids! See you on the battlefield, readers! This entry was posted in Spotlight!, TV Shows and tagged close combat, Command Wolf, Irvine, sniper combat, sniper rifle, Spotlight!, Zoids, Zoids: Chaotic Century, Zoids: New Century Zero on August 14, 2015 by The Mithril Guardian.